This dress is part of our "Liquid Heaven" collection, named for it's amazing fabric. It feels like... well, like liquid heaven! It is slinky and cool against your skin, it does not wrinkle and it is a heavier weight, so it hangs perfectly without clinging to your body! 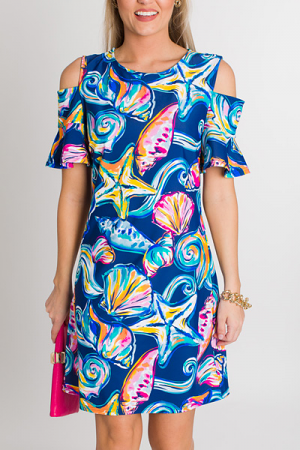 This one has a fun, springy print with ruffled sleeves!